Things seem to be moving along at the former Cara Donna location as they revealed a new exterior paint job and what appears to be wiring for a new sign. I’m hoping the residents are surveyed to see what they would like the offerings to be. Daddy Jones Bar is in training mode…for the wait staff that is. Dimitra has been keeping the doors shut and going through training sessions with her bar and wait staff in preparation for the big opening. Be sure to sign up for their email list, so you can get the latest information from Daddy Jones Bar! Olde Magoun’s Saloon’s hosting of the Paulaner Biergarten went off without a hitch and the Somerville Track Pac was very grateful for the $1500 donation they received by Greg Coughlin and crew. The detail police officer event complimented that it was the best run event he has ever worked at. Nice! On the Hill Tavern is continuing with their new menu choices and bar staff changes. It was nice to watch the Brown/Warren debate there on Monday night…steak tips were great too! Be sure to get your tickets for the Somerville Local First Harvest Fest on October 27th. Click on the logo at the right side of the website for more details! No new information on food trucks in Somerville as quorum issues resulted in the cancelling of Monday night’s meeting. Not that I’m complaining because I was able to get some steak tips at On the Hill! 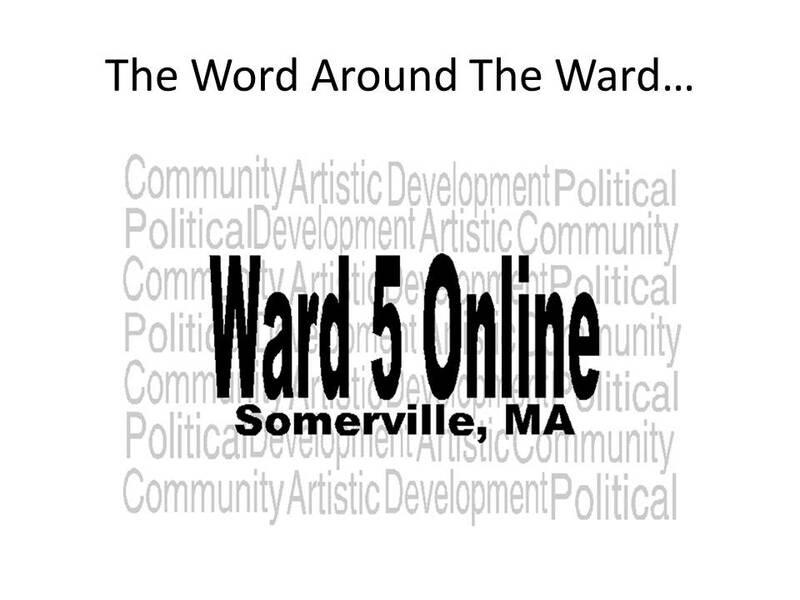 Are you interested in being in the Magoun know? 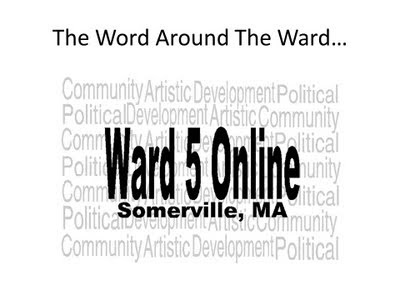 Get your name and email added to the Magoun Square United Google Group! On the political front, things are shaping up for the big Alderman's race in 2013. I have had meetings with both candidates and they are looking forward to campaigning and running on their respective records as public officials. With that said, Mark's running does leave the School Committee seat open. Anyone thinking of running? Seems another "once upon a time" (successful) retail Magoun Square business has been forgotten; it was the North End Fruit & Vegetable store----with emphasis on Italian favorites. It was next to the Cara Donna Bakery----the last retail unit, going east, on that long strip of stores. Owned and operated by a neighborhood family who lived on Lowell Street, a short walk south of Medford Street. A customer would walk the store self-serving, picking his/her own choices of produce; then go to the cashier for necessry weighing, and payment. It definitely was neighbors serving neighbors and all catching up on the latest "gossip/rumors"-- family and otherwise. Then came the original location of Russ's Donuts, a unit detached from the strip, with walk-up wooden stairs, who later moved to the southwest corner of Morrison Avenue and Highland Road---long since gone.